Congratulations on making it this far! You are so close to becoming an Accredited Event Designer and taking your career to the next level! 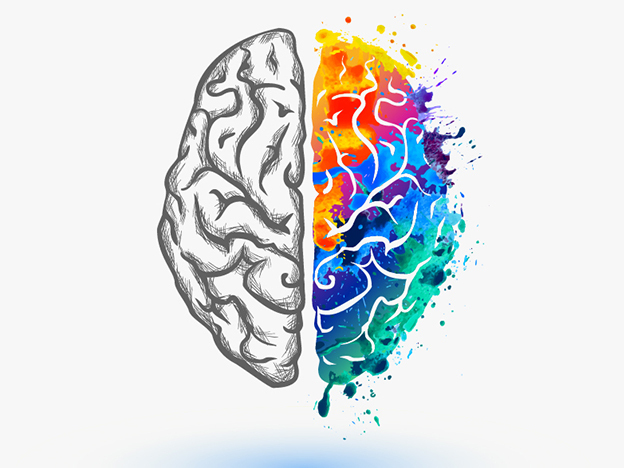 In Unit 4 we tackle some of the most complex, and most important, designs and structures. 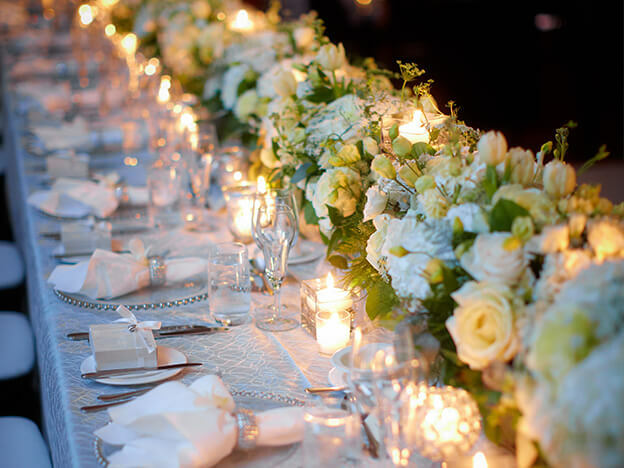 The ceremony is often the highlight of the wedding & as such, providing a beautiful setting will make the ceremony and exchange of vows that much more special. 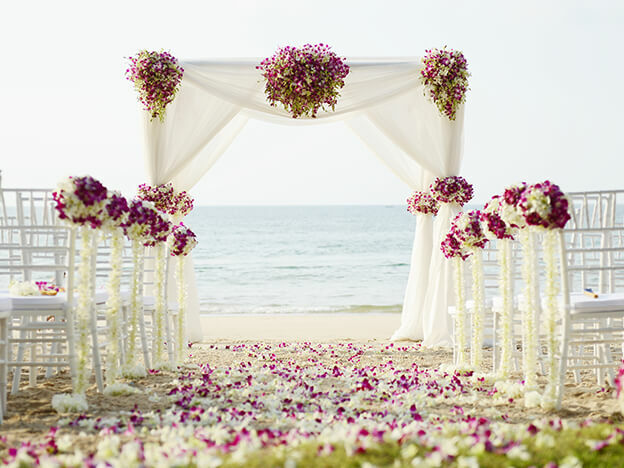 One of the first things to consider when choosing your ceremony structure & decor is where the ceremony is being held. The location will often dictate, to a certain extent, the look & feel of your design. 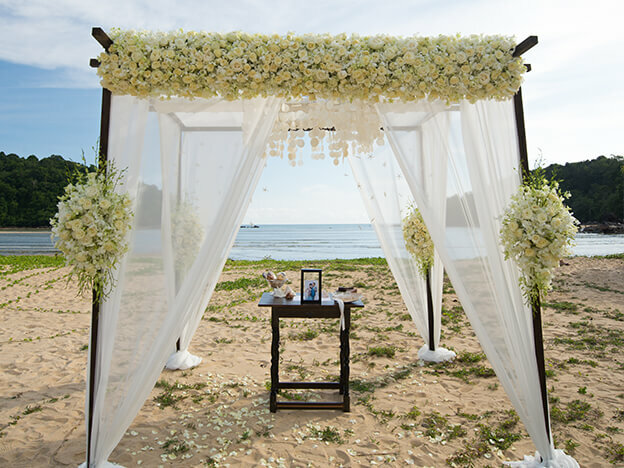 For example, the decor on a beach ceremony will be much different than a ceremony executed at a winery or with lots of foliage. When designing the ceremony, choose decor that compliments your surroundings as opposed to decor with stark or dramatic contrast. Ceremony: The portion of the wedding where vows are exchanged. 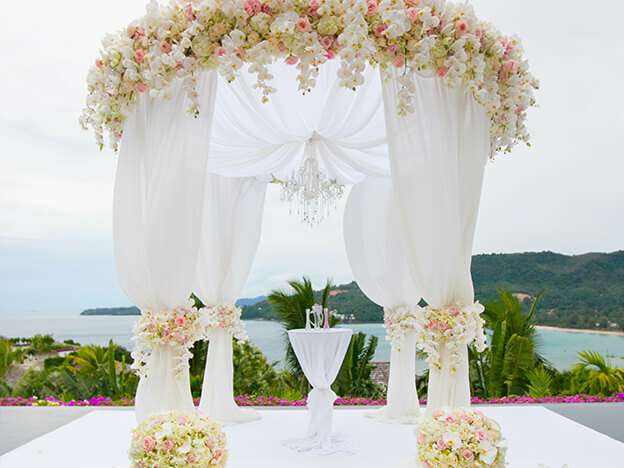 Aisle Decor: Decor that is set along the sides of the aisle, such as pew markers or aisle draping. Aisle Runner: A runner is typically a piece of fabric that extends along the length of the aisle which the bride & groom will walk down. 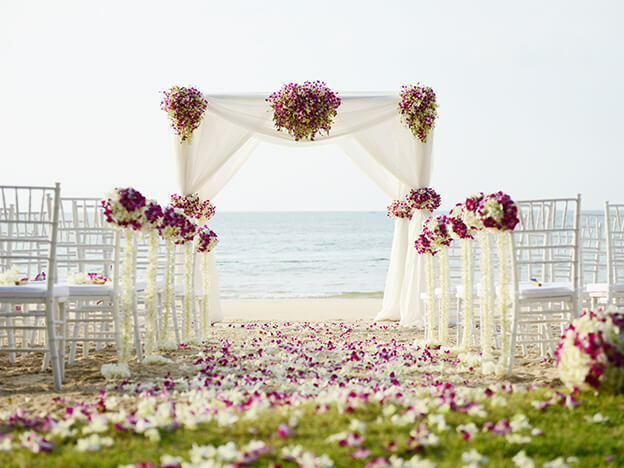 Although typically a fabric, can also be alternatives depending on the location of the ceremony, such as a beach or in nature. 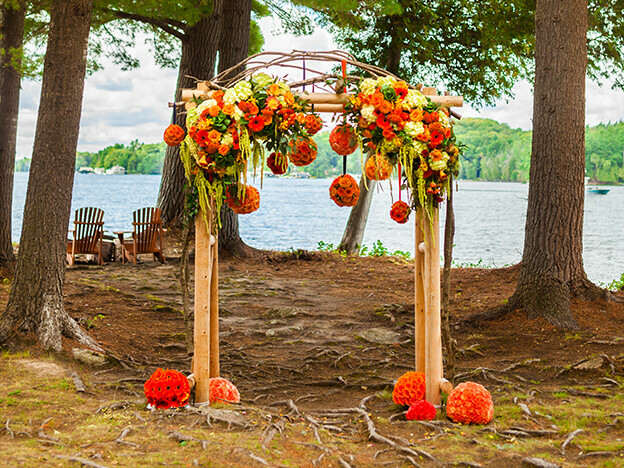 Entrance Decor: Typically a structure or decor piece at the very entrance of the ceremony. Square or Round Canopy: Provides a structure in which the bride & groom stand while conducting the ceremony and exchanging the vows. Lighting: Refers to the use of lights in various locations to provide additional decor & atmospheric elements.